This week, Your News to Know rounds up the top stories about gold and the overall economy. 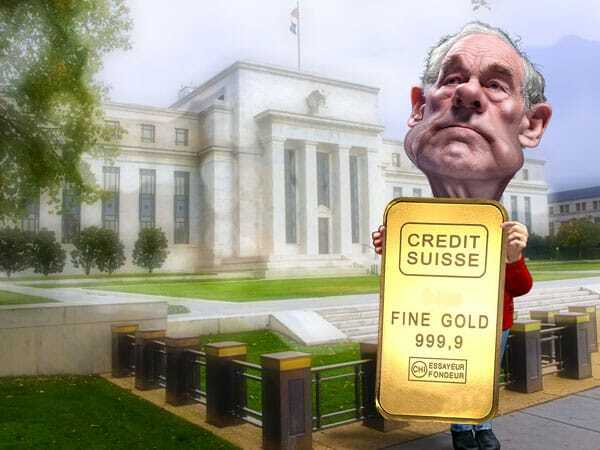 Stories include: Ron Paul says to bet on gold, top forecaster predicts gold will hit record high in two years, and three reasons to be bullish on gold. Former Texas Congressman Ron Paul recently weighed in on the upcoming Presidential election and the impact – or lack thereof – it will have on the economy. While Americans gauge which candidate might take better care of them, the former Congressman doesn’t believe that a win for either party will change things. In fact, he suspects that election-derived political uncertainty might pour over into the markets and make things worse. Liechtenstein-based firm Incrementum AG recently came out in support of gold and said that inflation could surprise everyone and cause the metal to spike within the next two years. Incrementum, which oversees $101 million and was named the top precious metals forecaster last quarter by Bloomberg, stated that the yellow metal’s biggest problem lies in market sentiment. “From a sentiment perspective, it’s probably the most-hated bull market these days. This is only the beginning of this party,” said managing partner Ronald Stoeferle in response to some traders’ quickness to turn bearish after gold’s recent losses. Stoeferle, who publishes an annual report titled “In Gold We Trust”, believes that gold stands to go up regardless of any rate hikes that could happen in 2017 and onwards. According to him, the momentum and direction of inflation could bring us into uncharted territory with big monetary experiments that will make owning bullion prudent. He believes that gold could recover to $1,365 an ounce this year and go past $2,000 in 2018, surpassing its 2011 peak. Elliott Management Corp.’s Paul Singer recently made similar remarks about inflation and warned that gold was underrepresented in portfolios. Even top investors David Einhorn and Stan Druckenmiller made the news with their pro-gold stance in recent times. Stoeferle’s comments come amid rising inflation concerns in the U.S., with the difference between yields on 10-year U.S. notes and Treasury Inflation Protected Securities of similar maturity reaching its highest level since May. Forbes contributor Henry To recently reiterated three reasons why he believes that Americans should be bullish on gold. To is notable among gold bulls in that he was definitively bearish on gold in 2013 and 2014 when the metal was still trading at $1,660 an ounce. However, as the metal went down, To’s sentiment has shifted from mildly to definitively bullish and now believes gold is an invaluable commodity to own despite the metals recent fluctuation in price. 1. Mining production has peaked and is scheduled for a decline. A close watcher of supply and demand dynamics and the mining sector, To noticed that global mining executives continue to focus on cost reduction instead of exploration, as highlighted during the recent Denver Gold Forum in September. With most large mining companies tailoring their operations based on bearish gold price predictions, To sees a possible supply glut coming in the next few years. 2. The long-term outlook for global monetary policy remains expansionary. From the European Central Bank to the Bank of Japan, central banks around the world are stuck in a seemingly never-ending cycle of continuously easing their monetary policies. They do so under pressure from high debt and entitlement spending coupled with negligible population and productivity growth – factors which are likely to worsen in the near future. Even the U.S., which is seeing higher economic growth, is plagued by outstanding debt and fiscal liabilities. To believes it’s only a matter of time before people flock to gold as a way to escape inflationary policies, just as they have done in the past. 3. Indian and Chinese demand will continue to rise. While temporary issues lowered gold demand from China and India in the first half of 2016, To expects demand from the two top consumers of the metal to return to normal. Even better: with Chinese real wages rising 6.5% year-over-year and India nearing its expected GDP growth of 8% this year, gold demand in these two countries should rise over the next few years.